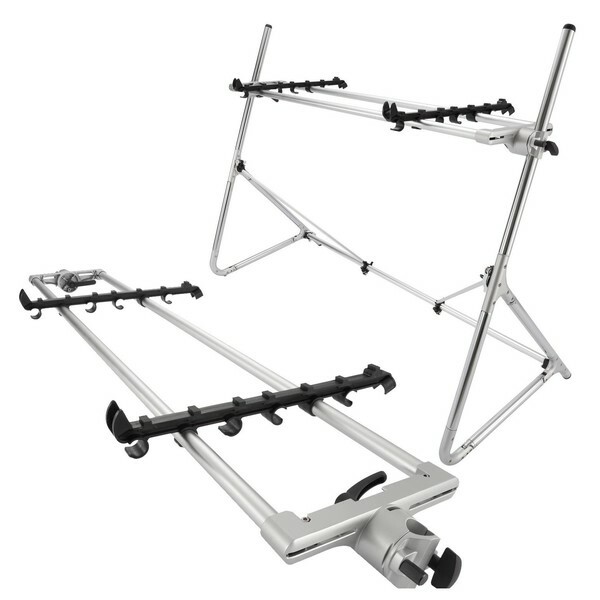 The Sequenz Standard Double Tier Large Keyboard Stand, Silver is a bundle comprised of a STD-L-SV 88-Note Keyboard Stand and a STA-L-S Tier Adapter, combining to create a large double tier keyboard stand. 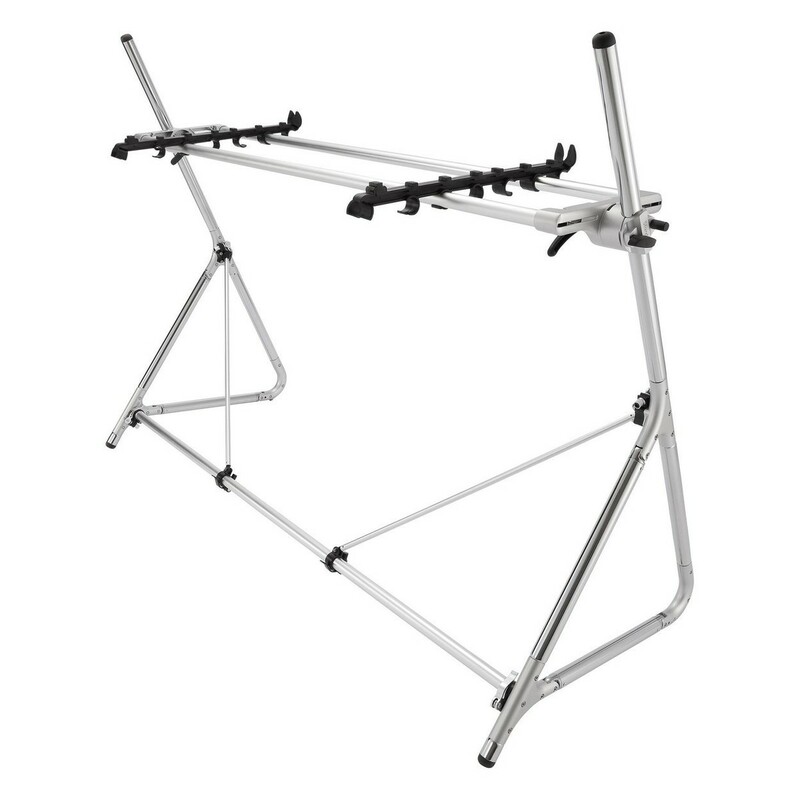 The stand is created from lightweight aluminium piping, with a sleek silver finish. 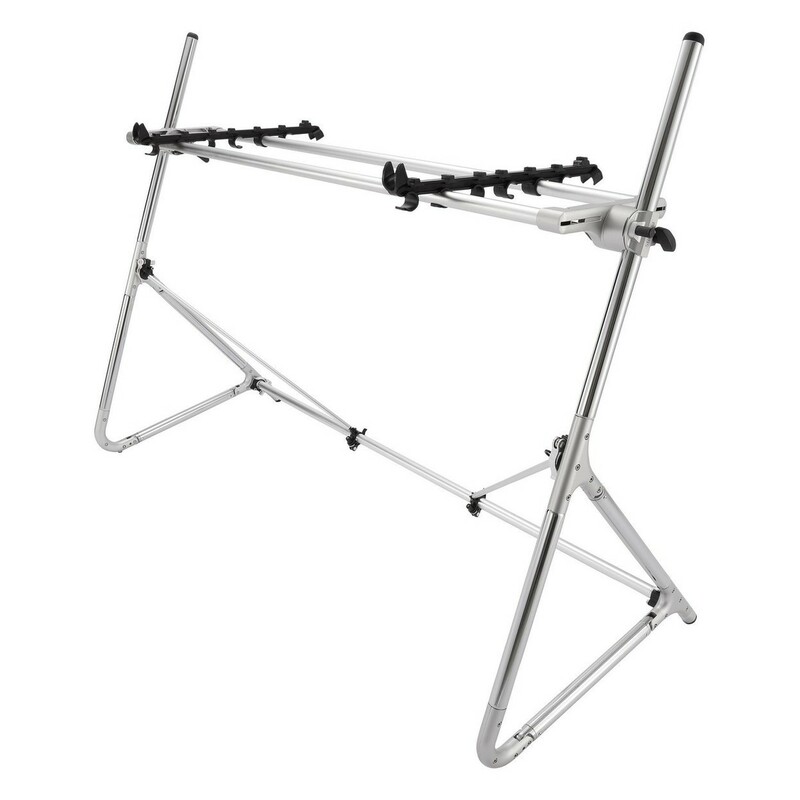 The Double Tier Keyboard Stand features adjustable height, depth and angle so you can find the perfect playing position every time. It is designed to accommodate 88-note keyboards, but the included keyboard holders allow you to cater to other equipment such as controllers, synths and compact mixer. 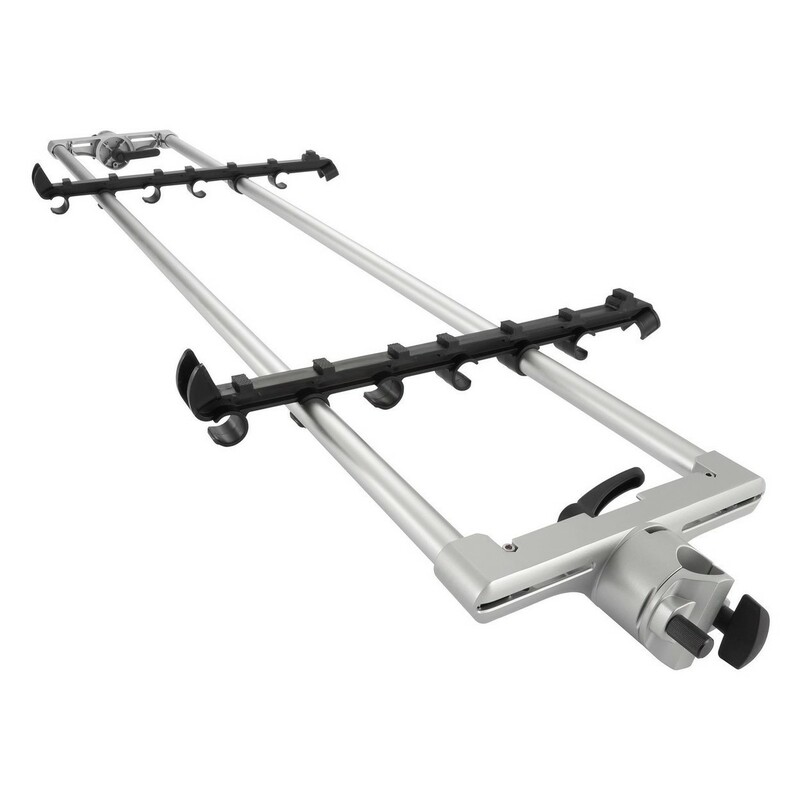 This special bundle compiled by Gear4music includes the STD-L-SV 88-Note Keyboard Stand and the SA-L-S Second Tier Adapter. Combining the two products together gives you a robust and adjustable two-tier keyboard stand which can accommodate two 88-note keyboards in one convenient package. The bundle comes complete with keyboard holders so you can also accommodate a range of other equipment including synths, controllers, modules and smaller mixers.